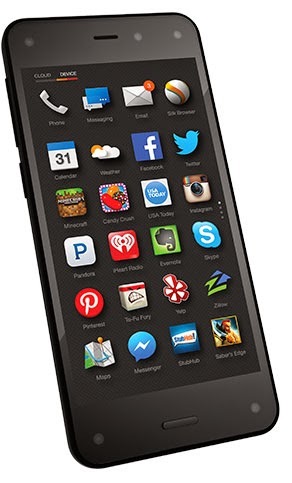 On 18th of June 2014, Amazon launched its new mobile phone named Fire Phone. Amazon has been creating a buzz around this new launch via its YouTube video where people experience this phone in their hands and share how awesome and cool it looks to them.So, this new phone is basically innovative because of its dynamic perspective and Firefly. Below, we will explain its all features in detail. Dynamic Perspective: Amazon's new Fire phone is the only phone which comes with Dynamic perspective features in it. This means that this phone has a custom-designed sensor system that responds to how a user hold, view, and move the phone. With this feature, you can do a lot of things such as playing games along with the movement of the phone (no touch screen controls are required). You can tilt your phone in a specific direction (whether left or right) in order to see other menu options and shortcuts. The other big advantage of this feature is that it enables you to read through pages without a need of scrolling up or down. You just have to tilt your phone in up or down direction and it will scroll the page accordingly. Firefly: Fire phone comes with a Firefly button which instantly reads and identify various kind of texts and numbers and gives you detailed information and quick shortcuts to perform specific actions. For example, you can press Firefly button in front of a number written on a business card or flyer and Firefly will give you option to call on that number or save that as a contact. It works the same way for QR codes, web addresses and even artists, music tracks and books etc. Mayday Customer Service: Fire phone comes with Amazon's award winning customer support 'Mayday'. The great thing about the Mayday service on Fire phone is that a customer service representative can not only operate your phone but can also teach you how to use specific features by pointing out with arrows and marks. Advanced Fast Camera with Unlimited Photo Storage: Fire Phone comes with new 13 mega pixels camera for fast capturing and unlimited photos storage on cloud. Camera is capable of recording 1080p videos and have panorama and HDR. Fire phone have a dedicated camera button so you can turn on the camera in just a second even if the screen is off. Faster Performance: Amazon Fire comes with 2 GB of RAM and 2.2 GHz Quad Core 800 SnapDragon Processor which gives you very fast and powerful performance. Adreno 330 Graphic Processor provides better environment for playing Games. 4.7 Inch HD Display which makes it easy to read in all kind of lighits. Phone features Fire OS 3.5 which runs Android in its Core. Amazon Fire Phone is currently launched in United States only. Its currently not available in most of other Amazon's websites such as in Canada, UK, India etc. For United States, the phone is priced at USD 649.00 without any plan. Otherwise, AT&T customers can buy on their individual or family plans. Watch full Video Description of Amazon's latest Smartphone. Although, to me this phone is just a copy of other Android phones except few extra features, its great to see a new competitor in the field. Otherwise, it was just Google, Microsoft, Apple and few others. Yes, you are right. And it will be great to see how Mozilla's Web OS gonna impact the market share.